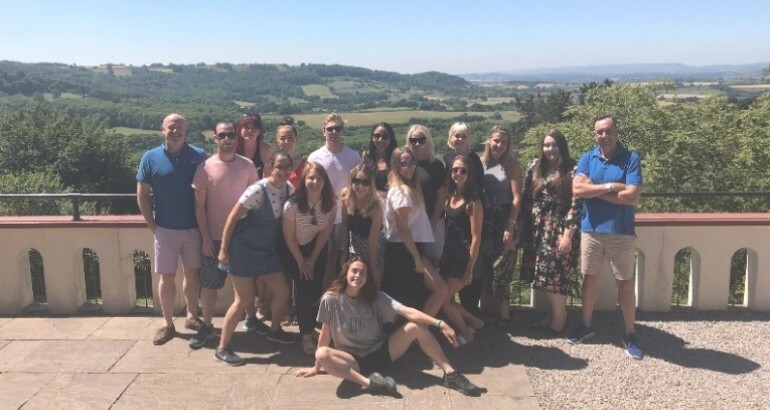 As part of our corporate responsibility development goals, this year the People for Research team are running Bristol’s half-marathon on 23rd September for charity. We’re supporting a very special cause: the development of an educational fund in memory of Fiona Braidwood. Fi Braidwood, from Banwell, died aged 17 at Southmead Hospital on the 30th of March 2016, following a car accident in which she sustained a serious head injury. This is a personal cause for us – Fi touched some of our team members’ hearts, who include her sister’s best friends. Yet all ages in the company wish to contribute their efforts to this special fund that has been created by the Braidwood family to honour Fiona’s love for learning. The fund – called Fees (Fiona’s Enrichment Education Support) Fund – will enable young people to enrich their learning, both locally where Fi herself studied and further afield at Durham University where she had ambitions of studying one day. The goal is for this fund to be available to young people who want to pursue enrichment activities by removing financial barriers and encouraging them to follow their dreams and reach their potential. If you’ve met some of the People for Research team, you may know that some of us are quite sporty, but running thirteen miles is still a huge challenge for us! However, we know that Fi would have stepped up to it to help other people, so both ourselves and her family are extremely grateful for any contributions towards Fi’s bursary fund. Our goal is to raise £2,000 before the end of September. To prepare for this challenge, we have been running regularly and doing other fun group activities like canoeing, playing badminton in Queen Square or doing yoga. If you can donate and help us achieve our goal, please click here. Alternatively, please help us raise awareness by sharing on social media or telling your friends and family about this campaign.